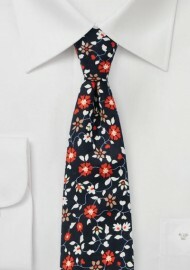 Show your style the moment you show up wearing this colorful cotton print tie in navy, red, yellow, and white. A great summer tie for linen suits in tan, cream, navy, and stone. 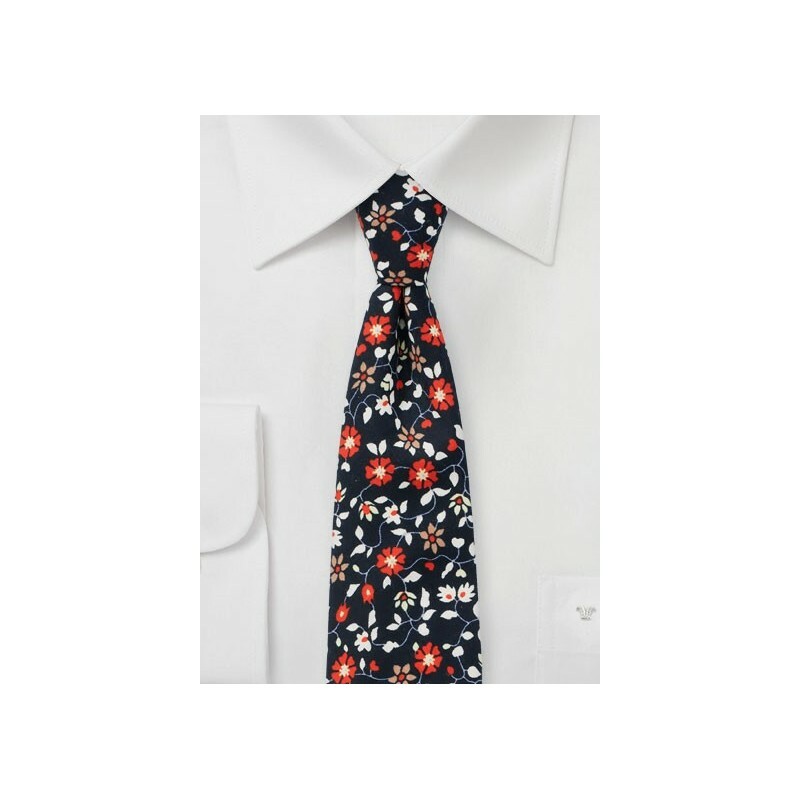 Tailored with a slimmer cut of 2.75 inches and handmade using a fine printed cotton fabric.